Marymont Group is New York City's premier boutique agency for executive-level job placements. With the search firm's worldwide reach, they needed a website that instantly established credibility with both clients and prospective interviewees. 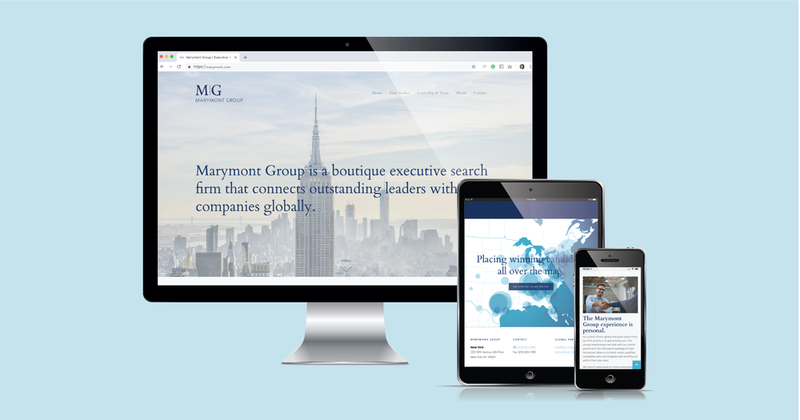 We brought life back to Marymont Group's website by first switching platforms to Squarespace. Following the switch, we added bold, captivating graphics that enhanced the brand's look. We refreshed the website's content to appeal to both of their target audiences while adding more personality and speaking to their boutique, personal approach.